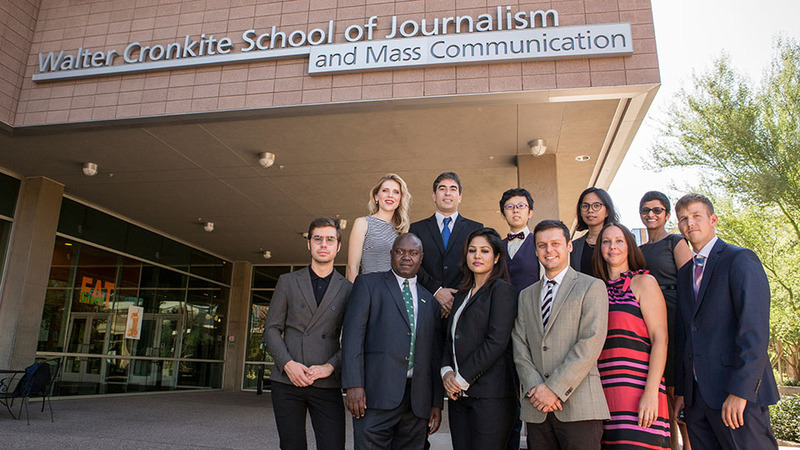 Journalists and media professionals from around the globe will share their perspectives on major international issues as part of an annual speaker series at Arizona State University’s Walter Cronkite School of Journalism and Mass Communication. The series kicks off Jan. 24 with a discussion on the global refugee crisis and ends Feb. 28 with a talk on governments at war with the media. Other topics cover Russia’s influence in Eastern and Central Europe and the explosive growth of China and India. This year’s Humphrey fellows are from Bangladesh, Bosnia and Herzegovina, Cambodia, China, Croatia, Egypt, Estonia, Hungary, India, Kenya, South Africa and Uruguay. The fellows offer global perspectives to Cronkite students through the speaker series, classes and informal talks during their 10-month stay. 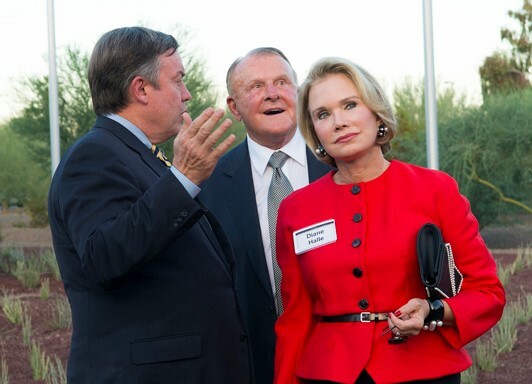 The hourlong “Cronkite Global Conversations” are open to the public. Sessions begin at noon on select Wednesdays through February. They are held in room 444 on the fourth floor of the Cronkite School on the ASU Downtown Phoenix campus. The global refugee crisis has displaced tens of millions of people. Ahmed Elashry, who served on communications teams of three Egyptian prime ministers; Marina Ridjic, a leading journalist from Bosnia and Herzegovina; Kazi Mohua, a prime-time news anchor from Bangladesh; and Paul Udoto Nyongesa, a communications expert from Kenya, share their perspectives on refugee and migration issues. With large populations and booming economies, China and India are becoming major influencers on the global stage. Xiaofeng Wang, a veteran journalist from China, and Kiran Somvanshi, who manages the research bureau at The Economic Times in India, discuss the future of the East and how the two countries can work together to promote regional prosperity and stability. Eastern Europe has long complained about meddling by Russia. Veteran journalists Mila Moralic from Croatia, Holger Roonema from Estonia, and Szabolcs Panyi from Hungary present eye-opening cases of Russian interference in their countries and share what the U.S. can learn from their experiences. Attacks on the press extend far beyond the White House. Global journalists Daneel Knoetze from South Africa, Bopha Phorn from Cambodia, and Martín Aguirre from Uruguay share their experiences and important lessons on covering governments that are hostile toward journalists.